Helsinki is an accessible, friendly and cosmopolitan city facing the Baltic Sea that offers an excellent quality of life. 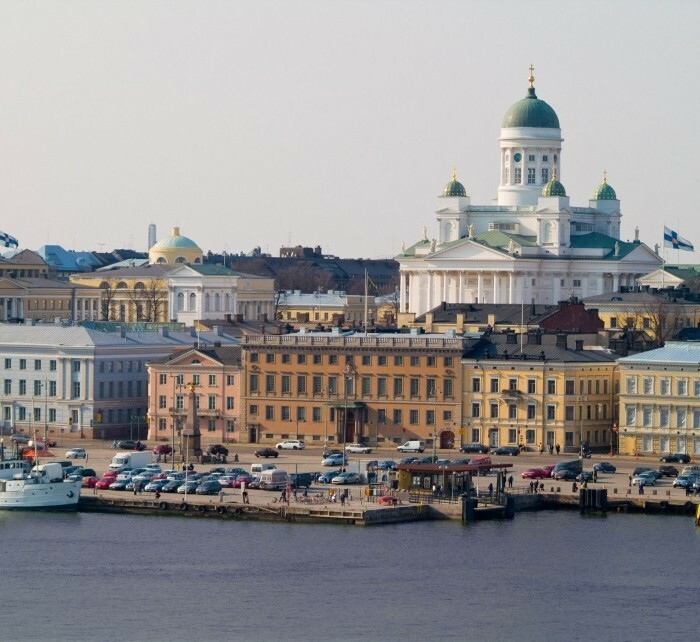 The small-town atmosphere and lifestyle of Helsinki makes the city very different from other European capitals. The coastline is perfect for sailing, fishing and sunbathing during the long days of summer, and excellent for enjoying cosy evenings during the snowy winter. Helsinki offers great opportunities for shopping, dining and relaxing. Book cheap flights from Tallinn to Helsinki with Bookinghouse.ee. We offer low cost airlines tickets such as Wizzair, Ryanair as well as traditional airlines tickets. The informational table of direct flights contains the information about the cheap direct flights from Tallinn to Helsinki organized by the airlines. The flight schedules of the airlines help to plan a trip in a easy way and find the cheapest flight from Tallinn to Helsinki. Knowing the low cost airlines‘ schedule from Tallinn to Helsinki, you may perform a more detailed search for the cheapest flights. While selecting the flight, Bookinghouse.ee suggests paying attention to the flight schedules of the low cost airlines such as Ryanair and Wizzair. Normally, the low cost flight airlines operate low cost flights on business days; therefore, while searching for the cheap flight tickets, it is important to select the flights operated in the beginning and end of week. To obtain the cheapest flight tickets, it is recommended to book them not later than 6-8 weeks until the date of flight with the low cost airlines.